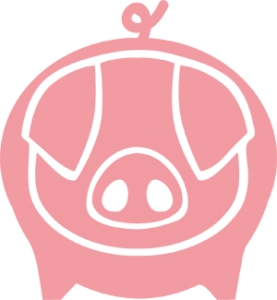 What is a pig factory? What is a high welfare farm? We are currently facing an antibiotic crisis. Through the abuse and misuse of antibiotics in animal agriculture and human medicine, scientists are now discovering that both animals and people are becoming resistant to these vital, life-saving drugs. We could be entering the age of the Superbug. In 1900 – before antibiotics were discovered – the average life expectancy in Britain was 50. It is now 81. In this pre-antibiotic world, people were dying from bacterial infections such as strep throat, septicemia, pneumonia, rheumatic fever and tuberculosis, among many others. We can now treat these diseases with a simple course of antibiotics. In 1929, the scientist Alexander Fleming discovered penicillin, the first antibiotic to be used to cure bacterial infections, for which he won a Nobel Prize. This was one of the most significant medical advances of the 20th Century. It didn’t take long for American and European drug companies to commercialise his discovery and by the mid 1940’s, penicillin was available for widespread distribution. Because Penicillin was so successful, drug companies rushed to start producing more antibiotics to treat different illnesses and infections. The discovery of antibiotics also meant that animals could be kept in very large, concentrated groups without the risk of disease and infection. As a result, by the end of the 1940’s, preventative antibiotics were standard in factory farms where overcrowding in unhealthy conditions mean that animals need routine antibiotics to keep them alive. This also had the unexpected result of promoting growth, and constant, sub-therapeutic doses of antibiotics for growth promotion, although now banned in the EU, is still used widely in the US. One could argue that the discovery of antibiotics facilitated the inhumane conditions of animal factories. When humans or animals ingest antibiotics, some of the targeted bacteria survive. These resistant bacteria or ‘superbugs’ are immune to the effects of antibiotics, and then multiply so that the disease no longer responds to treatment. The overuse of antibiotics in farm animals (about 45% of antibiotics in the UK are given to farm animals2 with the figure rising to 70-75%3 in the USA) has caused many diseases which pass from animals to humans to become resistant to antibiotics. Animals raised in high welfare conditions with plenty of space and bedding rarely, if ever need antibiotics. By choosing to buy only high welfare meat, consumers can support healthy farming systems and help save antibiotics as a cure for human diseases. Consumers International recently compiled a report explaining how global restaurant chains that could help tackle antibiotic resistance such as McDonalds, Subway and KFC, are failing to act globally to reduce the misuse of antibiotics. In February 2016 a ministerial conference was held in The Netherlands to address the pressing issue of antimicrobial resistance. The Director General of the World Health Organisation stressed the urgency of tackling the issue in her opening address, highlighting the measures that need to be taken to stop worldwide antibiotic resistance. Another high profile meeting is scheduled for September 2016 in New York. Only buy high welfare meat! Antibiotics are rarely used on high welfare systems. Check out our labelling guide to make an informed choice. Sign the petition that calls for the banning of preventative antibiotics in livestock farming. Well over 1,300,00 people have signed already. Let’s get to 1,500,000! Only take antibiotics when your doctor has prescribed them for you, and complete the course, otherwise the surviving bacteria will be resistant. Write to your MP and ask them to take a stand against the misuse and abuse of antibiotics in factory farming. Spread the word! Being informed is key to creating change. Like, share and tweet about the misuse of antibiotics. 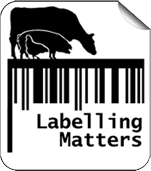 We need mandatory labelling to provide transparent information to consumers on pork labels. Sign this petition, calling on the government to tell us the whole truth. Proud supporters of the The Alliance to Save our Antibiotics. Sign the petition to ban routine antibiotics in farm animals.